Perhaps a song came to mind. Or maybe you thought of the prayer many of us say before each meal. Maybe a verse like this one came to mind. Chances are, though, that you didn’t think of perfume. Yet, these words – amazing grace, living grace, pure grace, and inner grace – each give name to fragrances from the company philosophy. While I don’t appreciate their lack of capitalization, I do appreciate their tag line for living grace. I also like the idea of wearing grace as a scent, though I have not personally tested these fragrances and do not know if I like their particular scents. But I like the idea of smelling like grace. These three meanings for the original Latin word for grace get at why I like philosophy’s idea of living grace. If we can connect with what grace truly means, if we can learn to live grace, our aroma will be pleasant to others. God’s grace – His unmerited favor – really incorporates all of these meanings of the word, and it gives us the foundation we need to live grace in our own lives. How, then, are we to live grace? Not only do the above scripture describe our God of grace and the qualities He possesses, they also give us direction for how we to can live grace in our own lives BECAUSE of His unmerited favor. Accept His gift of grace. It’s a gift; you can’t earn it. This truth is essential in order to live grace. Be slow to anger. Learn The Logic of Patience and keep Battling the Unbelief of Impatience. Be abundant in loving-kindness. Start by deliberately looking for ways to Instantly Make the World Better. Be abundant in truth. Take Every Thought Captive to the truth. Get wisdom and understanding. Learn How to… Develop Wisdom and focus on understanding. Take time to think. Learn How to… Develop Good Judgment that will help you think clearly. Develop self-control. The only way I have found to do this is by the increasing of the fruits of the Spirit in me. At the end of Genesis 8, just after getting off of the ark after the great flood, Noah built and altar to the Lord and made a sacrifice to God. The NIV says in verse 21 that “The Lord smelled the pleasing aroma…” God then went on to promise He would never curse the earth again. I desire for God to say that about my sacrifices too, and I want my sacrifices to result in God’s blessings. And while I can wear perfume that smells pleasing, that even smells like grace, I know that it is my purposeful obedience to live grace that is truly a pleasing aroma to the Lord. This entry was posted in Uncategorized and tagged God's grace, gratia, live grace, smelling like grace, sweet smell by admin. Bookmark the permalink. The first thing that came to mind was "do I understand Grace?" Because I do not have a good feel for what all these mean. I think when we live grace then in effect we are giving. Giving of ourselves to others; extending them things they may not deserve. Maybe living grace means we also extend it to ourselves in the sense we know we are not perfect but that God redeems and remakes us and can on a daily basis. Giving thanks is a way to extend grace as well; to recognize what God or someone else has done and acknowledge that with thanks. Living grace means we need to extend it to ourselves. I needed to hear that today. I don't think I truly understand grace, but I sure like recieving it. Great examples and explanation, by the way. Thank you once again for adding depth in an area that is truly difficult to grasp, especially for me these days. I love the word grace and the images it conjures up. 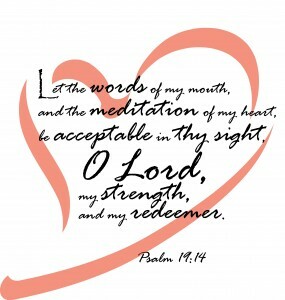 The grace family of words has such a sense of well-being and elegance–graceful, gracious, gracefulness, etc. "She moves with such grace." "He is so gracious." Good word today, Kari. Love the amplification of the word grace, Tom. Thank you for that! Love the stretching of the mind and spirit, Mike. Thank you for this and for the additional coaching, which has stretched me even further. I have been truly blessed by my friends today. Thank you. It is always a two way street… thanks. Sorry for the delay in commenting, Kari. I've been recovering from surgery. The thing that sticks out to me about grace is how it's completely undeserved. I know I want to be kind to people if they're kind to me, but that's not really grace. I find it incredibly challenging to continually try and act in a loving way when you feel that the other party is undeserving. But that's how Christ loved us. No need to apologize, Loren. Hope your recovering is going well. Said a prayer for quick & painless! My pastor defines grace often as "unmerited favor." Favor I don't deserve and can never earn. That constantly amazes me, but it also makes me want to be brave. 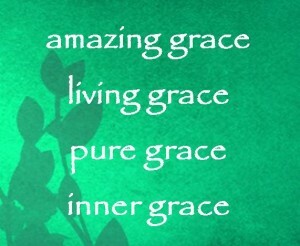 I thought of God's amazing grace that saved a wretch like me…the thought of living grace…I love that! thanks Kari! I really see the extra work you are doing in your blogs and love them! Thanks for always being such an encourager, Mary.